DUPLI Line is fully traceable, has excellent drive compatibility with all popular duplication drives and comes with a no failure guarantee. 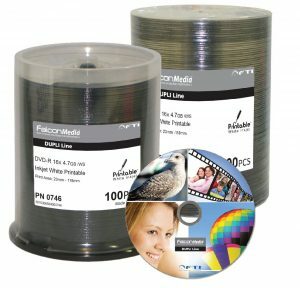 In addition, the CD-R Diamond product from DUPLI Line is a yet higher quality product, with its silver finish giving a classy appearance of a replicated CD-ROM. FalconMedia Dupli Line discs are ROHS/REACH compliant.